1. Click the Create New Project button. 2. 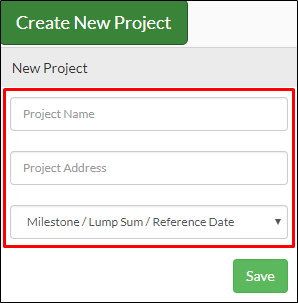 Fill out the following fields: Project Name, Project Address, and Project Type dropdown. Project Name – This field requires the name of the new project. Apostrophes (') are not allowed. Project Address – This field requires the location of the new project. It is an API of Google Maps which suggests different locations once you start filling out the field. 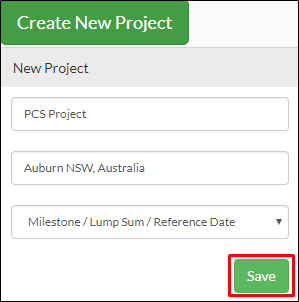 Project Type – This dropdown menu contains three project types: (1) Milestone / Lump Sum / Reference Date, (2) Cost Plus / Schedule of Rates, and (3) Do and Charge. Milestone / Lump Sum / Reference Date is also known as Payment Claim System. This type of payment is ideal for long-terms. Cost Plus / Schedule of Rates - This type of payment is where the builder bills the customer of the expenses after a project is done. Do and Charge - Also known as one-off claim. This payment is like an independent payment claim. 4. As a new user, you will be asked by the system if you like to start filling out a Project Breakdown using our Payment Claim System. You can either pick Yes or No. Click Yes if you want to itemized your project expenses and claims. If not, simply click No. 5. 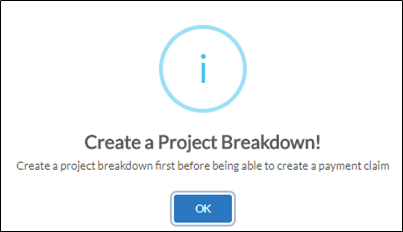 If Yes, click OK to confirm and start creating a project breakdown. 1. From your navigation bar, go to Pre-Construction > New Projects or simply search 'New Projects' located in the upper right corner of the portal. 2. Select the type of project then fill out the necessary details of the project. 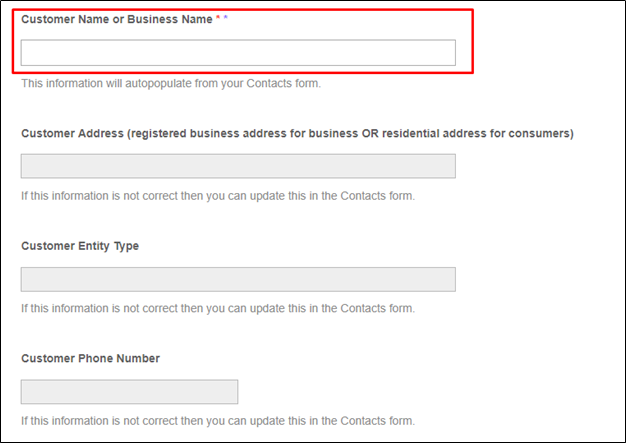 Note that the Project Representative and the Customer Name or Business Name should be an existing contact in your library. If not, a prompt will be displayed, asking if you want to add your new contact. 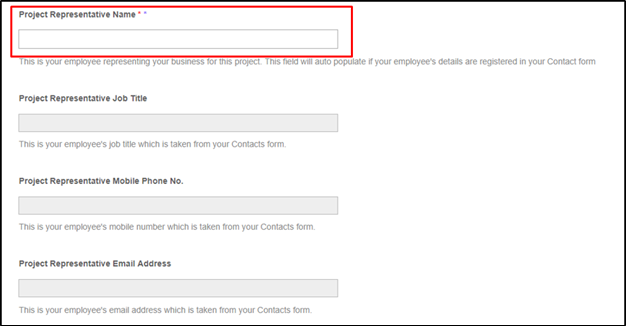 Succeeding fields will be filled out once you have already selected a contact. 3. Fill out the other fields then click Submit.